"Why don’t we just create a society that accepts that this is reasonable?" The March for Science, which will take place in over 500 international cities on Saturday, has some broad, ambitious goals: It will be a celebration of science; a show of support for scientists and their work; and, for some, it functions as a protest against the Trump administration’s cuts to science funding and disregard of scientific data. But Mutale Nkonde, who is co-organizing the March for Science in New York City, wants to make it clear that the rally in Manhattan isn’t about Trump himself. It isn’t even about politics. In New York, the March for Science will be largely focused on educating kids about science. Instead of using the march as a platform for political protest, Nkonde is using it to showcase New Yorkers and local organizations that are taking steps to ensure that the science community will be protected in the future. To Nkonde, who is Zambian by way of the United Kingdom and a volunteer with Black Girls Code, creating a community where science will thrive in the future is arguably just as important as ensuring that science is being protected now. “Rather than say this politician does or doesn’t like science, why don’t we just create a society that accepts that this is reasonable, so that no matter who runs, part of the collective subconscious is that we really need to invest in these people?” she says. Among the people scheduled to speak at the march are a young student at Girls Who Code who has raised awareness about the dearth of computer access in some neighborhoods; a local mother who got public schools to discontinue the use of certain wasteful styrofoam trays; and an African-American colon cancer survivor who became an advocate for educating communities of color about trusting doctors after her own reluctance to get checked out almost cost her her life. On Saturday, they’ll tell their stories to the massive crowd, and Nkonde is confident that by making one thing clear — New York City cares about science — that they’ll be just as helpful at effecting change as a political protest would. Protesting against alternative facts is just one goal of the March for Science. 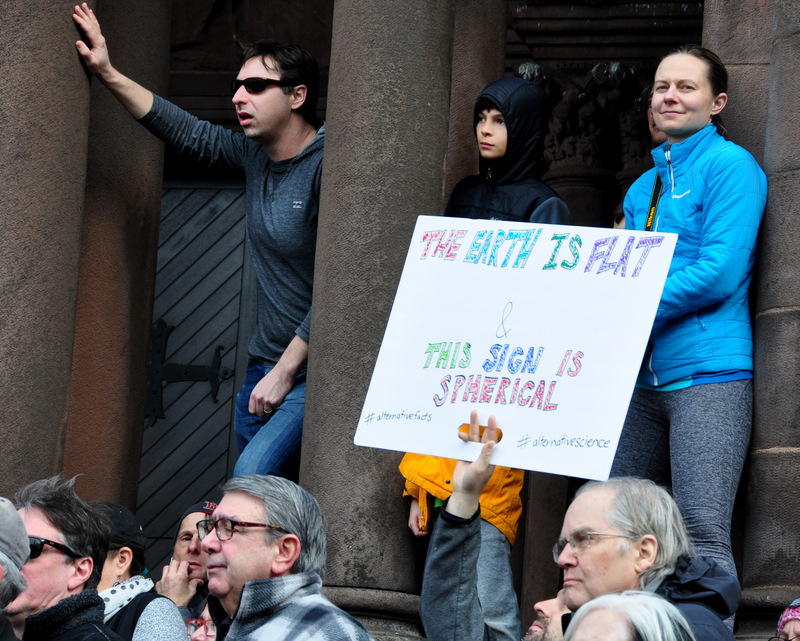 By branding the New York March as an action plan for local science involvement, Nkonde wisely manages to avoid recent criticism that the larger Science March movement has politicized science by forcing scientists to align with one party or another. Prominent members of the science community who are involved in the march, like Bill Nye and the D.C. March co-host Derek Muller, have, like Nkonde, responded to critics by insisting that political is not the same as partisan. However, Nkonde’s reluctance to cast the march in any political light isn’t a defensive move; rather, she’s doing it because she believes framing one administration’s science agenda as significantly better than another is, ultimately, not helpful to anyone. 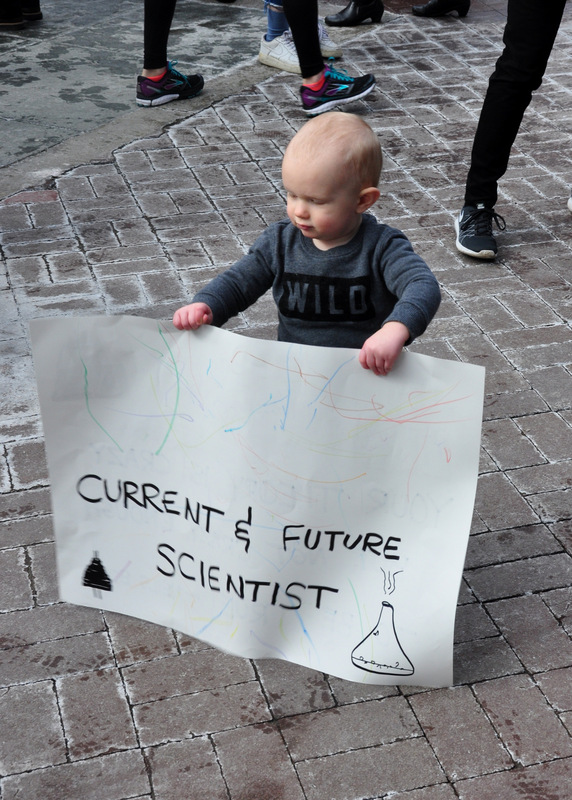 The most important moments of the March for Science, no matter what city it takes place in, will occur in the quiet moments after participants pack up their placards and go home thinking: What will happen next? On the global scale, it isn’t clear what effect, if any, the march will have on the people who took part in it and the institutions it was meant to uphold. But in New York, at least, Nkonde’s already planning a follow up — a “Hang With Science” event where kids can mingle with science-minded adults in a lab — to keep local momentum from the March going. Nkonde’s attitude toward the March is quintessentially New York in its angularity and efficiency. 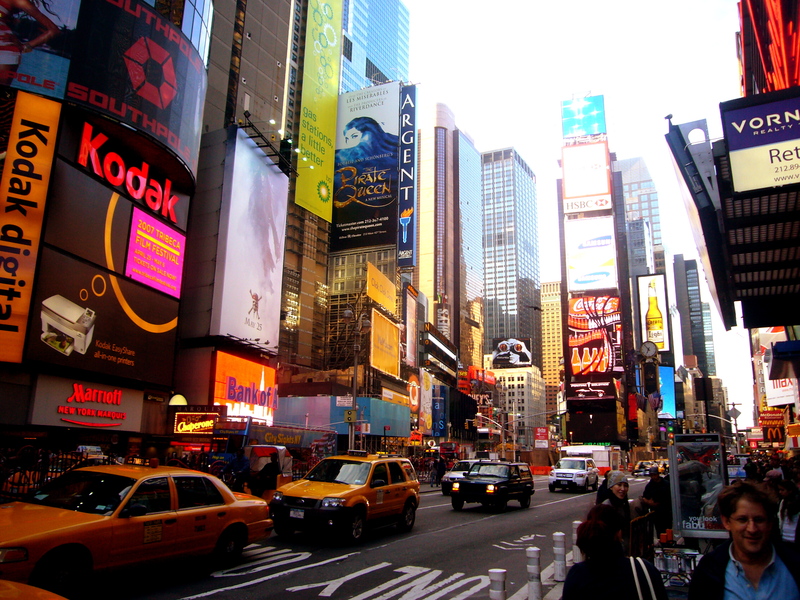 In the city, she jokes, there are too many people doing too many different things, so getting their attention requires a degree of focus.